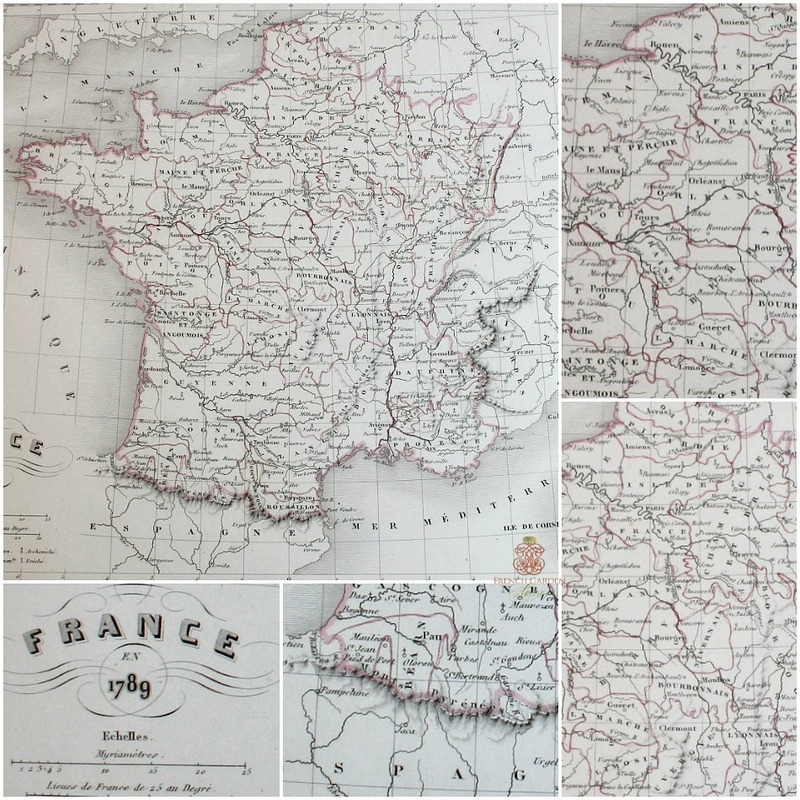 Antique hand-colored Map of France, hand painted with water color by an artist, with impressive details of the country, it is dated 1789, although it may have been printed in the 1800's. Produced as part of the Geopraphie moderne, it's a fine and decorative example of Conrad Malte-Brun's map of France in 1789. This map depicts the French empire before Napoleon's conquests. 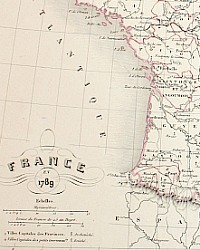 The color coding defines the designated borders of France in 1789. The French Revolution began in 1789 and resulted in the abolition of the French monarchy replaced by a democratic republic. Printed on cream paper, blank on the reverse side. To be expected in prints of this age, there may be a few characteristic areas of foxing etc., this print is in beautiful antique condition. 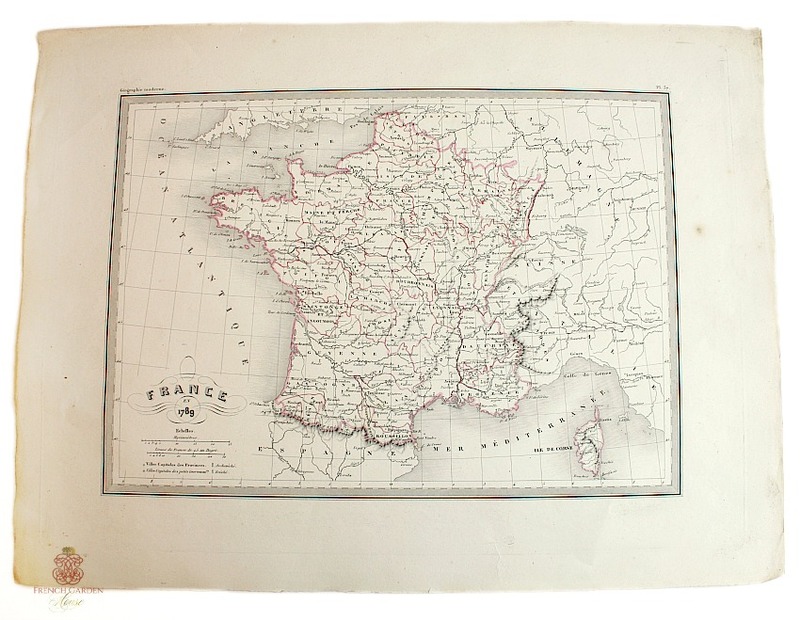 Perfect to frame, decorative for a gentleman's office, library, or your French Country home. Measures: 16" x 12"